The PDT team is pleased to announce that they will be attending the G2E 2013 Casino Gaming Convention in Las Vegas, Nevada. Alongside partner Telefonix and their subsidiary Airistar Technologies, PDT will be exhibiting at the Global Gaming Expo (G2E) 2013, the world's premier casino-entertainment event, from September 24-26 at booth #2817. "We're looking forward to exploring the latest technologies, issues, advancements, and opportunities in the gaming industry," said Joel Delman, Los Angeles Creative Director at PDT. "This year especially and in years to come, we're carefully considering the role that Millennials will play in shaping casino gaming. From social integration to second screen technology, we anticipate that millennials will transform casino gaming into a more engaging, creative experience." PDT, an industry leader in product design and development, has long been a proponent of increased interaction in gaming. From advancing no-touch gesture-control to integrating games with new technology in innovative ways, PDT remains involved and invested in developing the future of gaming, science, and defense technology. 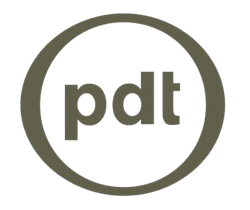 Since 1995, PDT has been committed to providing truly comprehensive product development services via a proven, process-driven approach. Grounded in creativity, our work is balanced by a solid understanding of your business, the needs of your customers and demands of your markets.